Does DIY cinnamon lip plumper work? I always knew about the medicinal value of the wonder spice cinnamon and how it could be used as a home remedy for various ailments not to mention its various health benefits.It can be used in combination with sandalwood to treat acne, as a massage oil for painful joins in chikungunya, as an antidote while recovering from malaria -DIY remedies with this spice are too numerous to be listed. 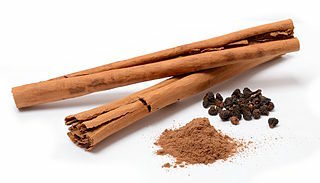 So the other day when I was reading about DIY beauty hacks in an article in the Daily Mail, I was pleasantly surprised to learn how the humble spice cinnamon can be used as a lip plumper or rather how one can get Kylie Jenner lips using cinnamon and cayenne pepper. I watched the YouTube tutorial mentioned in the article, but there were no 'before' and 'after' application pictures and her lips didn't look plumped at all. Also watched Michelle Phan's 5 hacks to plump your lips and no her lips didn't swell up, though she claimed that her lower lip was slightly plumped. These DIY tutorials somehow didn't convince me that these ingredients could actually plump up one's lips. But after I watched Beauty Hack or Wack? DIY Cinnamon/Cayenne Lip Plumper, I knew that this DIY lip plumper simply didn't work. Additionally, all that stinging and burning that the YouTuber experienced after putting that on her lips made me cringe! I'll never ever use a DIY cinnamon lip plumper! How about you? Have you tried it? What was your experience and did it work for you?